Red Velvet is a popular flavor this time of year, and with it's gorgeous red color, it's a favorite on Valentine's Day and anniversaries!! 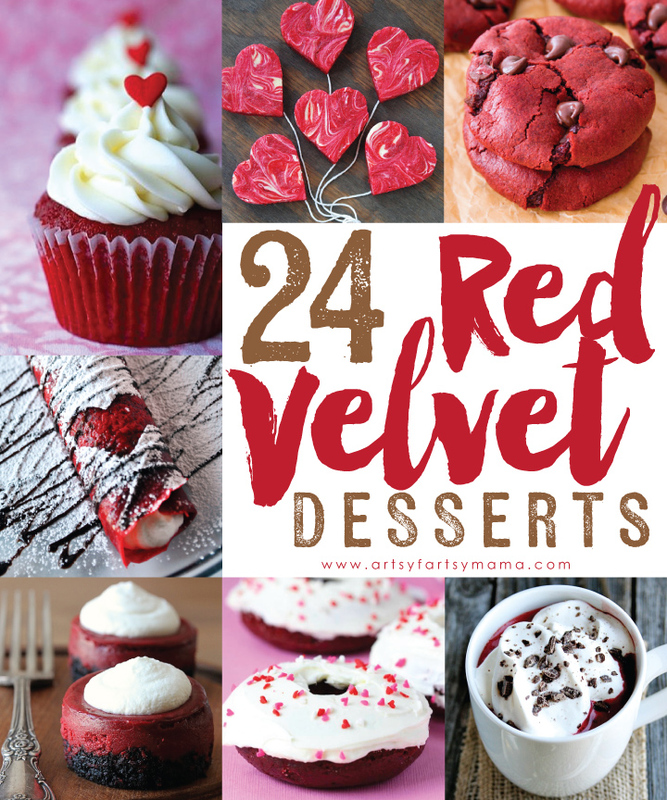 Today I'm sharing 24 decadent Red Velvet dessert recipes for you to make this Valentine's Day or just to enjoy for dessert tonight! I'm excited to try some of these this weekend!! These all look so delicious! Thanks for including my Red Velvet Sugar Cookies in the collection!